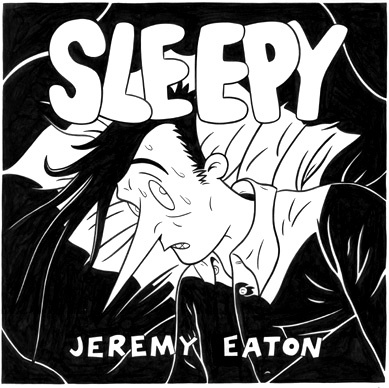 This is the cover to Sleepy (The Early Daze), the third collection of my A Sleepyhead Tale strip, put out by Fantagraphics in 1996. 9 1/4" x 9 1/4". India ink on bristol. One small bit of lettering pasted-on. Comes complete with original color-seperation rubylith overlays and printer's marks, none of which interfere with the art area.